Welcome Admiral! 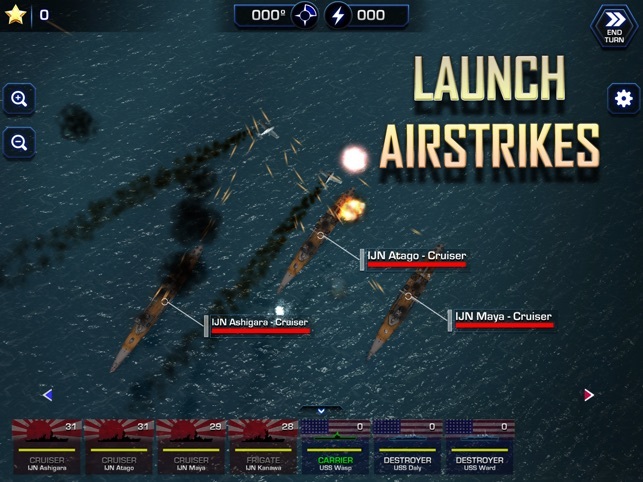 Your mission is to select a fleet of warships, arm them by selecting their weapons, assign captains and destroy the enemy fleet. You'll have complete control of this mission, all the way down to what angle and how much power should be put into each shot. Battle Fleet 2 is at your command, Admiral! 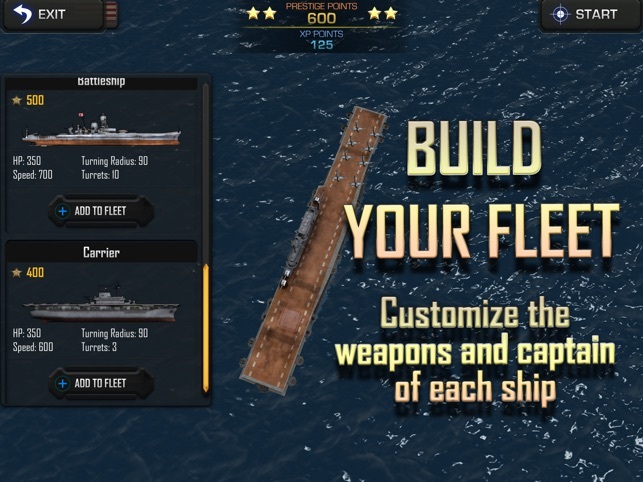 - Build your fleet from 7 different ship classes each with different hardpoint locations for mounting different weapons, different mobility, and different hit locations. 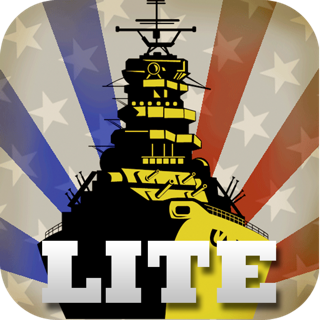 - Use small caliber guns to pinpoint your shot and switch to devastating salvo mode, forcing all available guns to fire at the same location. 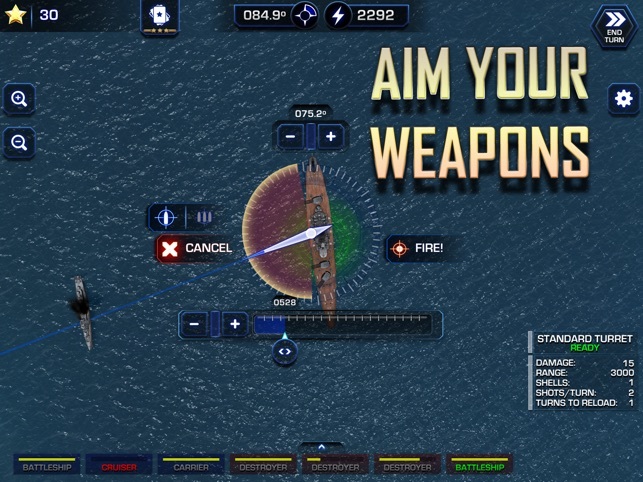 - Equip your ships with a wide variety of weapons including AA guns, torpedoes, and different caliber naval artillery. 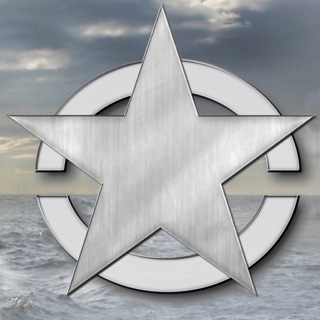 - Utilize or neutralize bombers and recon planes launched from island bases, aircraft carriers, or cruisers. 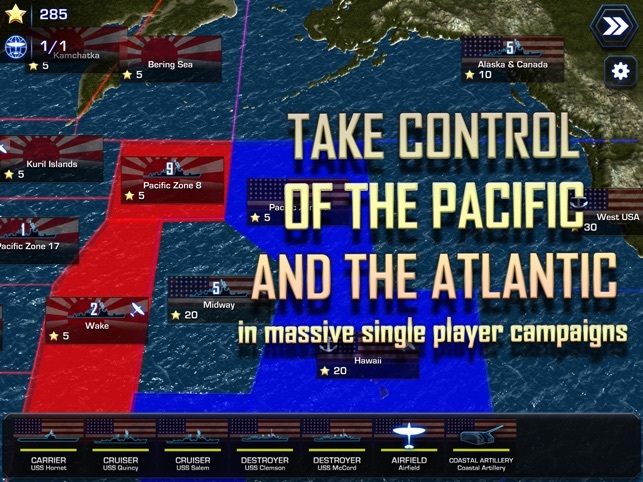 - Play the strategic campaign mode, random skirmish mode, full cross platform multiplayer, or even hotseat multiplayer. 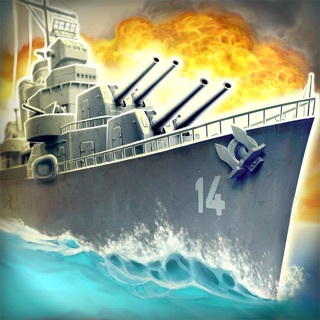 - Use recon to clear Fog of War and defeat enemy ground based airfields and coastal artillery. 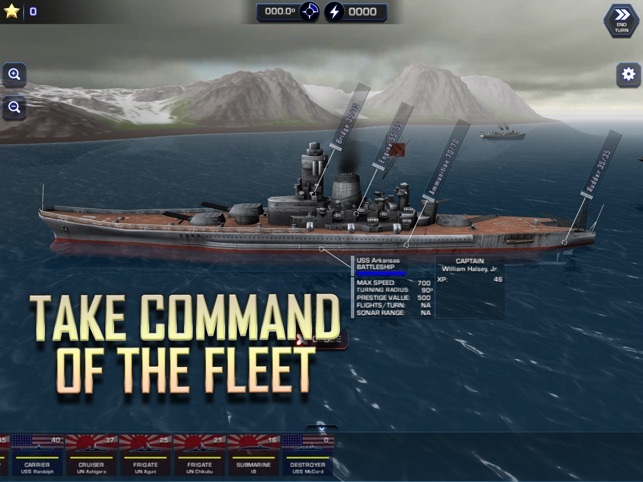 - Battle Fleet 2 features full 3D models of WW2 era ships. 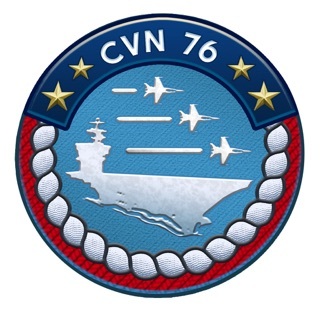 Not complicated like Harpoon or CMANO but entertaining and well made. I would like to see you guys come out with DLC or an add on that allows for beach landings / island invasions with naval forces in support or trying to intercept invasions. Perhaps with land based air on islands as well. This should be addressed in the 1.602 update. You can also change the UI size in the game's options menu to avoid this problem. This is a really outstanding game. Requires iOS 10 or later. Compatible with iPad.